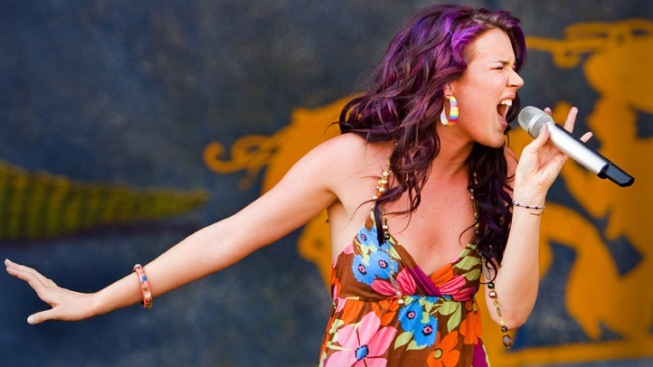 Singer Joss Stone, reportedly worth around $15 million, was apparently targeted by robbers near her rural home. Two men have been arrested by British police on suspicion of conspiracy to rob and murder near the rural home of singer Joss Stone. Devon and Cornwall Police say the men aged 30 and 33-years old were arrested Tuesday near Stone's house in Cullompton, southwest England after residents reported a suspicious-looking vehicle. Detective Inspector Steve Parker said the men "had in their possession information relating to an individual in the Cullompton area and items which lead us to suspect that they may have intended to commit a criminal offense." The force would not confirm a report in The Sun newspaper that the men had swords, rope and a body bag, as well as maps and aerial photos of Stone's secluded property. Stone, reportedly worth around $15 million, is good friends with the newly married William and Catherine. She attended their April wedding. The men were being questioned Wednesday and have not been charged.